Whelp, Week Five of our master bedroom update is here. It seems as if all of the other participants have had one rough week out of the six, and I am no different now. Week five for me was not my favorite. But, before I get into all of that, let me catch you up on this whole shebang. I have chosen to take part in the One Room Challenge which is put on by Linda at Calling It Home. 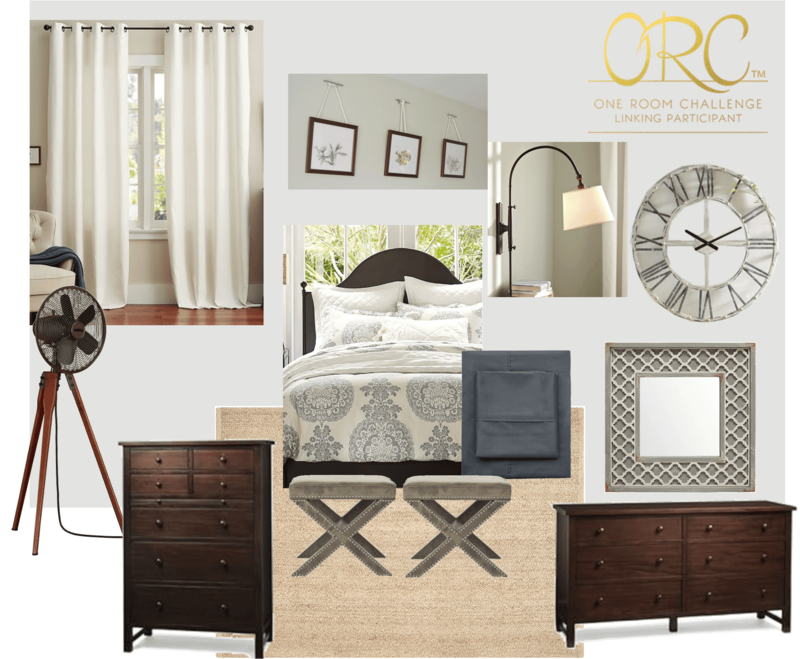 The ORC consists of 20 amazing designers who completely redo one room in just six weeks. They post their progress every Wednesday which you can see here. Seriously amazing stuff. 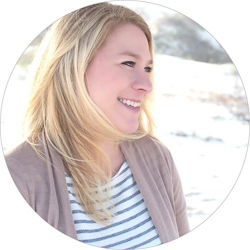 Linda also opens it up to other bloggers like myself, as linking participants, where we also redesign a room in just six weeks, but we post every Thursday over at Calling It Home. 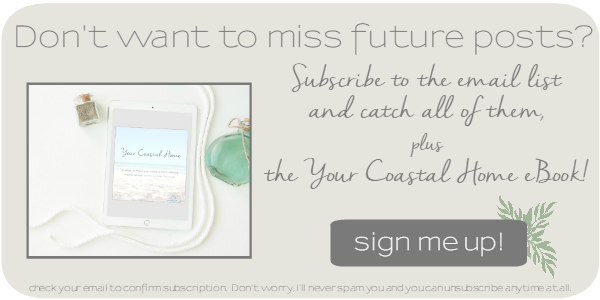 For my room, I decided to show our master bedroom some long overdue love, giving it a more fresh, calming, and coastal feel. Here is my moodboard from Week 1, and you can catch up on Week 2, Week 3, and Week 4 also. Last week, I did a few little updates and got our new PB sheets in as well as the “X” ottomans I ordered from World Market. Unfortunately, while they were really awesome, the pattern on the ottomans just didn’t sit right with the feel of the room and I returned them. The perfect ones in my head (and in my mood board) are just too expensive. I’ve browsed around here locally for a normal bench that would work and they’re all too small to be up against our king sized bed. So, I may just have to keep our old leather one until the perfect one jumps out at me in the future. All for this. The most beautiful white of white. Yes, it was all worth it. It’s hard to really get it’s whiteness to show in the pictures but believe me, it made a huge difference! To really see the difference between the Westhighland White and Extra White, I left the bathroom door unpainted to show you…. 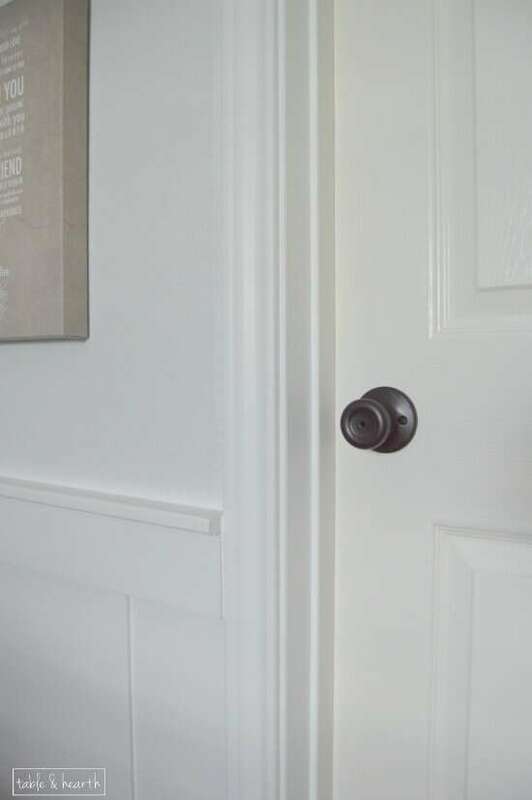 Nope, I straight up just didn’t paint this door, ha! #trimdefiance. Actually, this door is always open so it’s seen from the bathroom more than from the room so I kept it WW to match the trim in there. Aaaand cause I just didn’t want to paint another door. I don’t cut in or tape if I don’t have to, so I do still have to go back and edge with Ice Cube around all the wainscoting but that won’t take long with the edger (aka the best painting invention ever). Here’s a closeup of the beautiful white/super light blue-gray combo. It’s so calming and looks beautiful with all the neutral, weathered accents I’ve been finding. 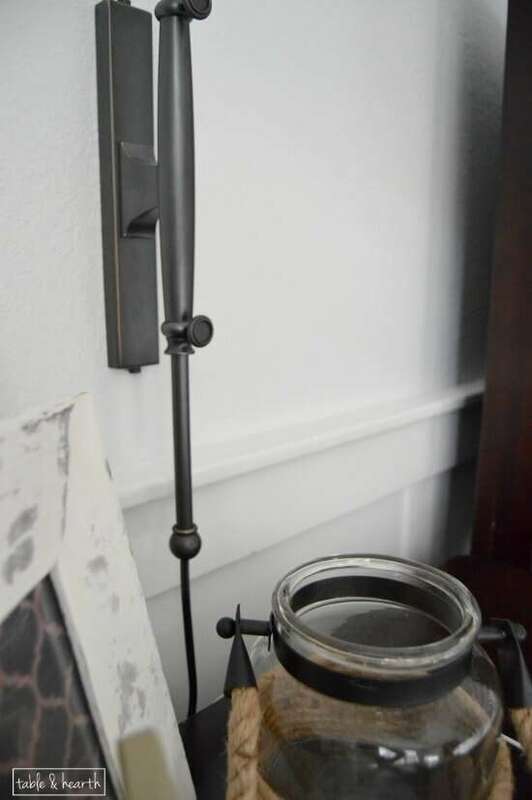 My original plan involved replacing the matching mirror on the dresser with a rectangular mirror hung on the wall and Week 3’s post threw out a ton of ideas I had found, but it still just didn’t feel quite right to me. Shortly after that, I had a revelation to move the big round clock to the dresser, and put a square mirror on the wall where it was. After painting, I removed the dresser’s mirror and put the clock there and voila! Instant harmony. 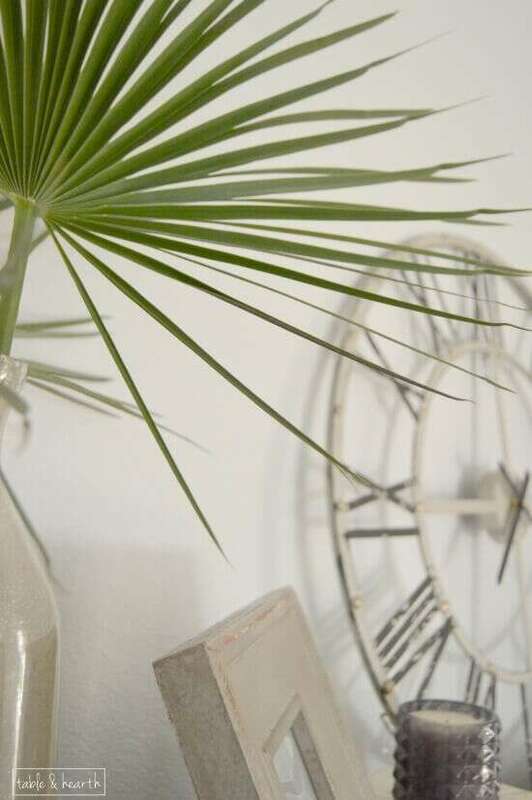 I love me some leaning clocks (Exhibit A: our mantel), and square mirrors are significantly cooler than rectangle ones. AND right after doing this, I found two perfect contenders for mirrors, I’m just hoping they can get here in time for next week! While painting the trim was horrible, the whole mirror/clock conundrum solution made me happy, BUT on Monday it got a bit more frustrating again. I learned the rug I ordered on Overstock on the 19th has somehow been lost. Just, lost. So they are sending me a replacement which *might* get here before the 7th, *might*. Seriously!!! Every day I pray there’s a big huge rug on our doorstep when I get home from work, and nope! I feel like Lebowski, that rug was really going to pull the room together, man. So, stay tuned for the final reveal next Thursday!! Who knows if a rug and/or mirror, two of my favorite components, will be in it or not :) Even if not, the space already feels completely new to us and I cannot wait to show you guys all of it! 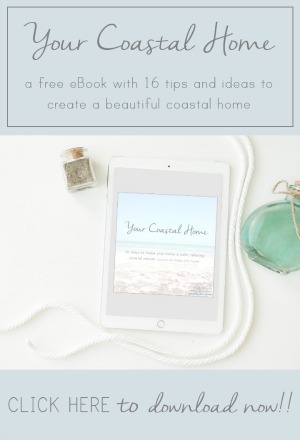 In the meantime, you can find all of my inspiration photos and shopping ideas on my Pinterest board, and make sure you check out everyone else’s Week 5 updates over at Calling It Home today, there’s some seriously beautiful projects happening. 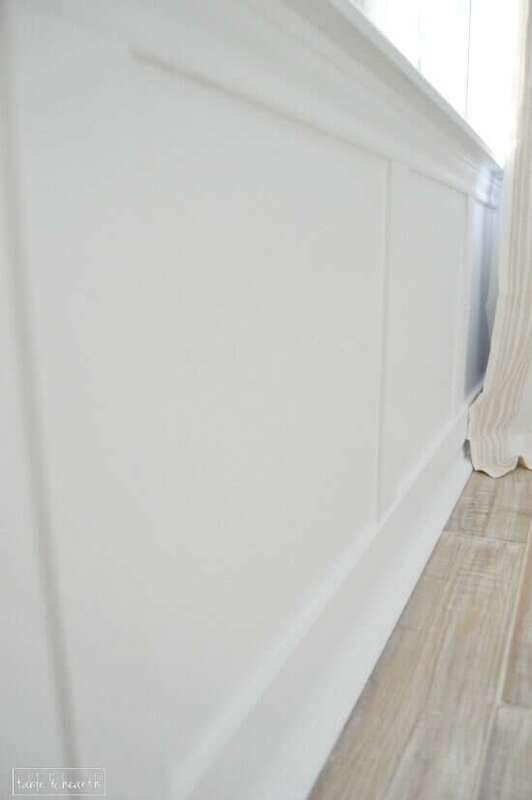 Oh Emily, that wainscoting looks perfect! Totally worth the hours of work!!! Here’s hoping the rug and mirror make it in time! Can’t wait to see how it’s all come together next week!!! Good luck girl! Loving the fresh paint, so pretty. 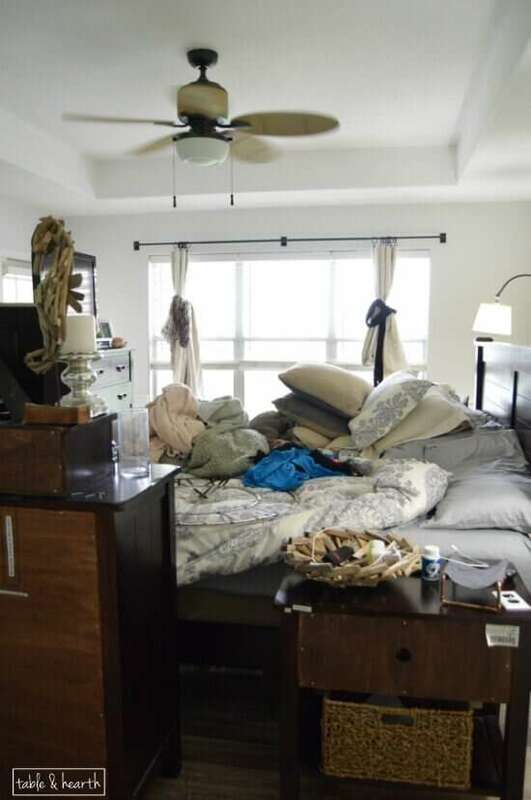 I had to giggle at everything piled on the bed. That is how mine looked last week. It drives the husband insane when I have rooms like that! And I hate having to sleep in a bed in the middle of the room for a night or two :/ Glad to hear I’m not the only one that just piles everything onto the bed. Thanks! 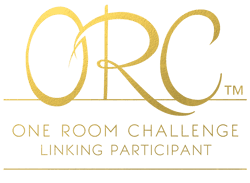 I swear I am the only blogger on the planet that hadn’t a clue about the One Room Challenge! This looks sooooo awesome! I love it! And that white, yep, it was a huge difference. Sending you good juju on the rug! Can’t wait to see the final reveal. No, no. Well, not really…I had heard of it but always thought it was just the designer challenge, I had no idea there was the linking participants until the day before this one started. It’ll be back around in the fall so mark that schiza down now! HUGE difference from the cream to the white. I’m totally crushing on your room. Can’t wait to see! I’m glad it’s noticeable, otherwise I’d be really pissed after doing all that work ;) Thanks Ashley! Oooh seriously frustrating! Sorry, lady! I have the iced cube silver in my bedroom too! It is such a relaxing color. Everything looks so fresh and beautiful. Worth the effort for sure. Can’t wait for next week! It is looking good!! Loving all of the colors that I can see! Cannot wait for next week!